The Federation Against Software Theft has given its backing to an online service designed to help users avoid ending up with counterfeit goods as it looks to help crack down on web piracy. The intellectual property champion has become affiliated with Brand-i, a website which helps users differentiate between genuine and illegal fakes, which is run independently but has the backing of Trading Standards. One of the classic defences of those caught with illegal software is that they had no idea it was counterfeit but vendors, including Microsoft with its Genuine Advantage Programme, have worked hard in recent years to ensure that there are several features that help a legitimate product stand out. "A recent IDC and Business Software Alliance (BSA) report highlights that software piracy is an increasing threat to the economic growth of the nation, which cost the UK economy over £1 billion in 2010," said FAST general counsel Julian Heathcote Hobbins. As a result, this impedes the opportunity for new IT innovations as well as preventing new job positions within the industry. 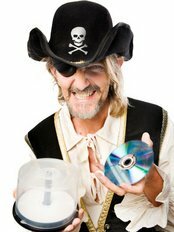 It is therefore vital for software piracy to be reduced, and for this to happen, people are encouraged to report any suspected pirated software that they encounter to FAST," he added. Jenny Dalton, director of Brand-i, said that it was good to have the backing of an organisation that had done so much to help "reduce and restrict unauthorised dealing in computer software".